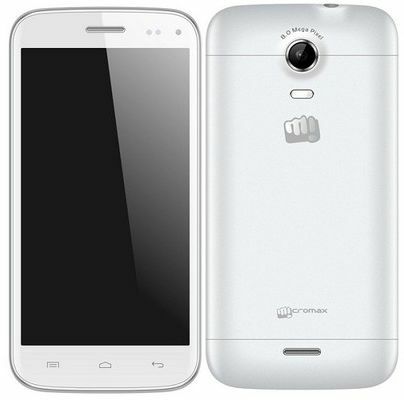 Micromax has officially launched its new smartphone, Canvas Turbo Mini A200 in India. Micromax followed the Samsung’s technique of mini versions of flagship smartphones and now released its first mini smartphone. This is a compact version of Canvas Turbo A250 smartphone that was launched in October 2013. Micromax Canvas Turbo Mini comes with a 4.7-inch HD capacitive touch display with the resolution of 1280 x 720 pixels and protected by Gorilla Glass 2. It runs on Android 4.2 Jelly Bean operating system and powered by 1.3 GHz quad core processor with 1 GB of RAM. It has 4 GB of internal memory and expandable upto 32 GB using microSD card. The Phone features a 8 MP rear camera with LED flash and 5 MP front facing camera. Also it has Camerazzi app that allows you create GIF cinemagraph and you can erase unwanted objects with Object Eraser. It comes with some pre-loaded apps including M!Live, Spuul, Kingsoft Office, Hike, Opera Mini and some other games too. The Micromax Canvas Turbo Mini comes in Blue and White colors and it is priced at Rs.14490. This phone will surely compete with other phones with this price range of Rs.15000. The phone is now available on Flipkart site and it will be available within a week in retail stores across the country.